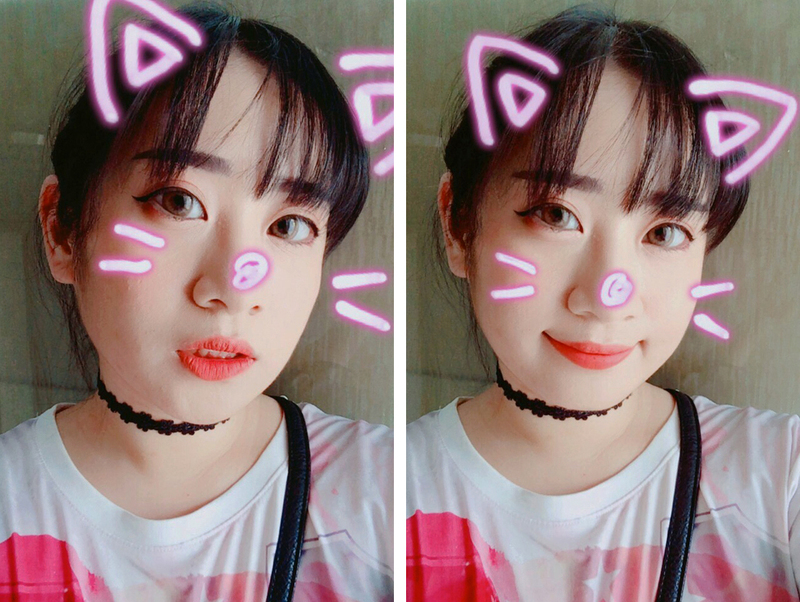 If you've been following my blog for a while, you might remember that I previously reviewed the last YesStyle's Skincare Essentials Box*. 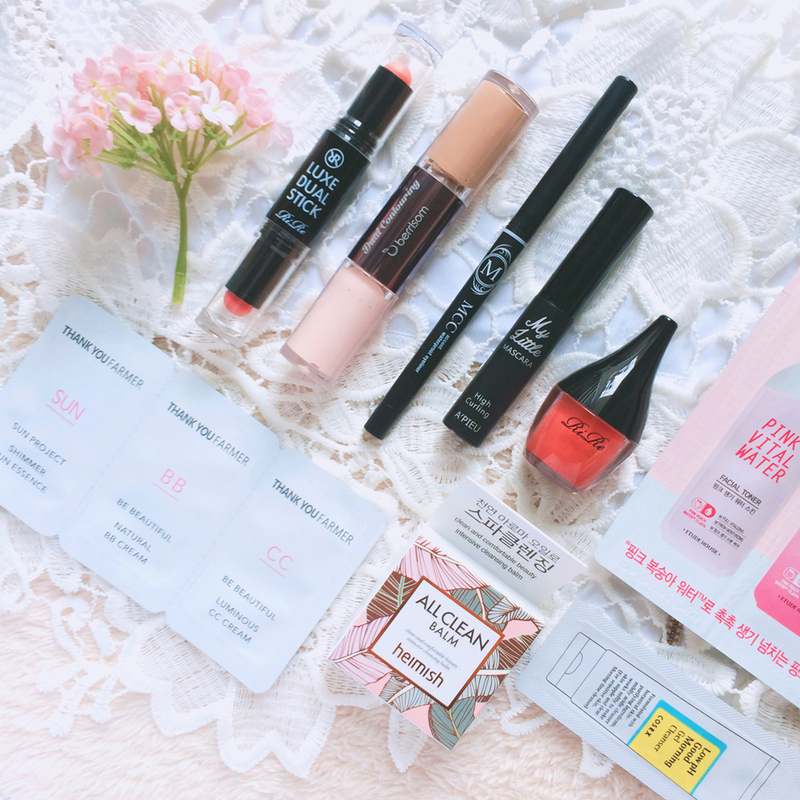 Sometime last month, they sent me a second one to try—the YesStyle Sweet Spring Makeup Kit*! 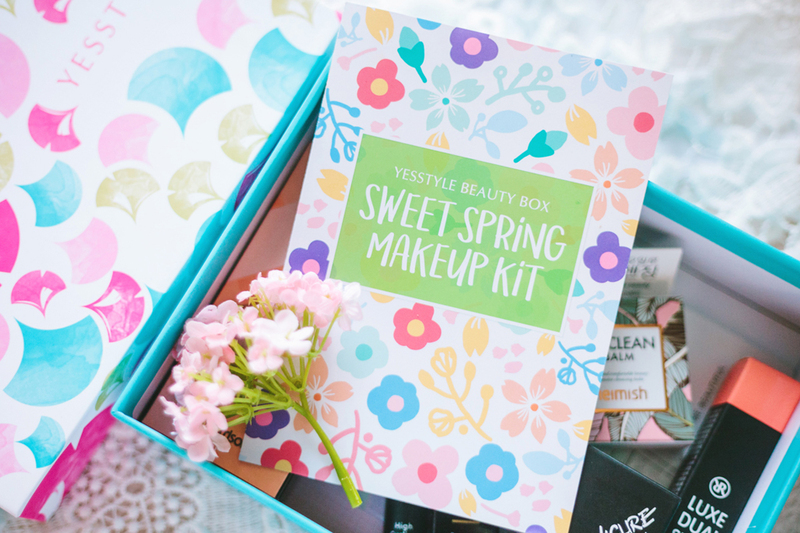 The Sweet Spring Makeup Kit is a curation of Korean makeup products to be worn together for a sweet spring look 🌸 It includes 5 full-sized makeup products and 4 skincare samples. Here are the products and my thoughts on each one. 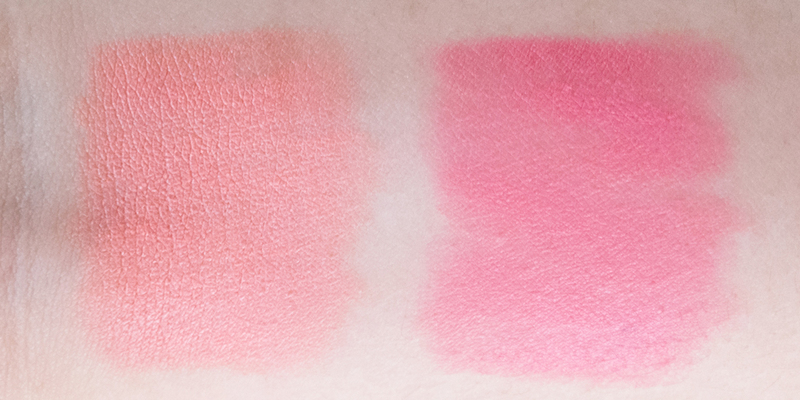 A dual-ended cream shadow and blush stick. One end has a coral shade, while the other has a pink one. Both ends can be used as either eyeshadow or blush, depending on your taste. The formula is creamy and blendable. While the colors are very pretty, I feel that both shades don't show up nicely on my skin. 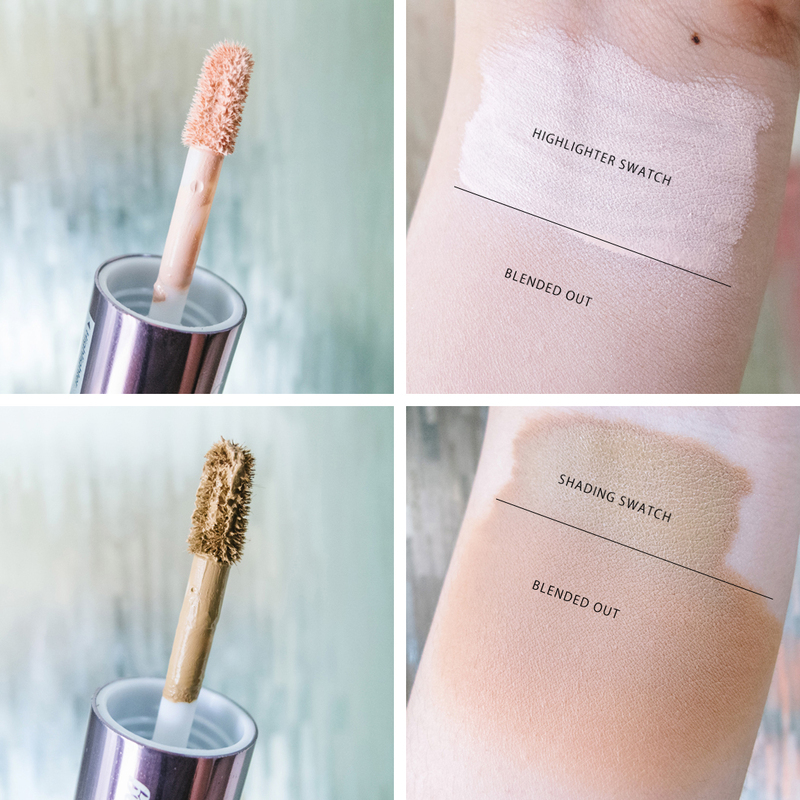 I have light-medium skin (my inner arm is lighter than my face – I'm slightly darker than #23 for Korean shades) and when I blend out the product, I sometimes don't see it on my face. It's a bit sad because the quality is good and these colors are right up my alley. Just not a match for me. Maybe this would work better for lighter skintones. 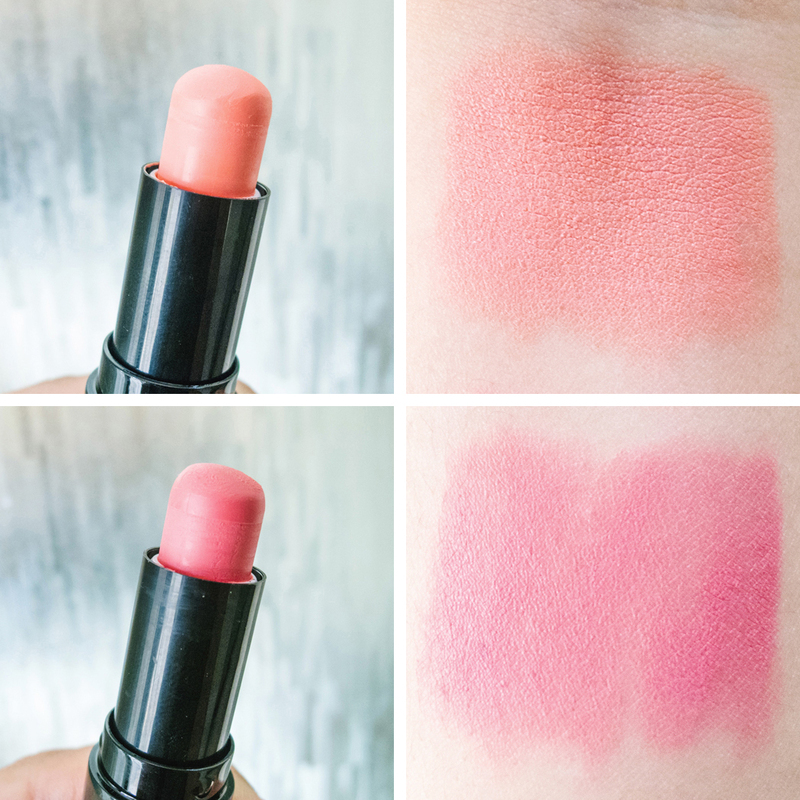 I've been wanting to try this ever since I tried the RiRe Lip Powder (reviewed here). I loved the color that I got of that product but disliked how I struggled with application every time I used it. I thought maybe the Lip Manicure would be slightly better in terms of formula. (The two lip products come in the same strange bottle with the huge cap and tiny applicator though. I really wish RiRe would ditch those.) The color I got is 09 Brick Red. (I'm not 100% sure if all Sweet Spring Makeup Kits come with this particular color or a random one.) The name says "brick red" but the actual color leans more orange. 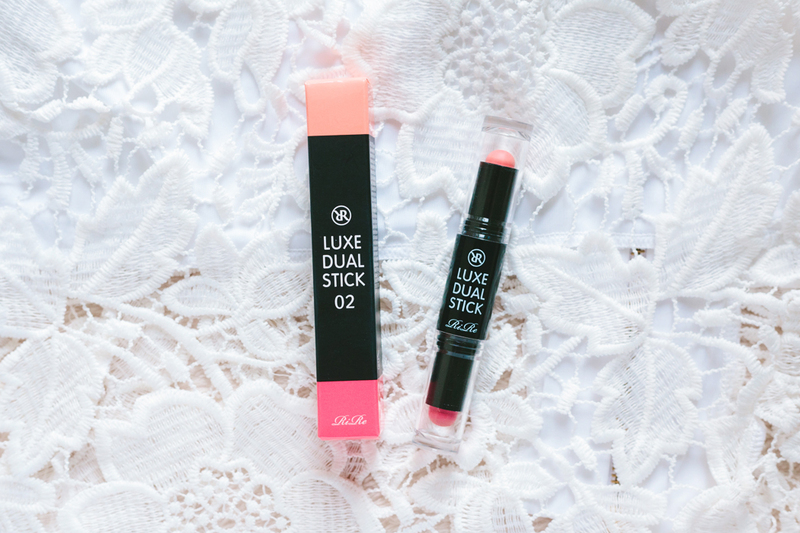 The formula dries matte, but doesn't dry out your lips like most matte lipsticks. It's highly-pigmented, water-proof, and smudge-proof! I wore this to my aunt's wedding and it lasted almost the whole day. The only time I had to re-apply was after I'd eaten some oily food during the reception. But with everything else like drinking water and kissing titas' and lolas' cheeks, this didn't budge at all. It stayed put for a good ~8 hours. 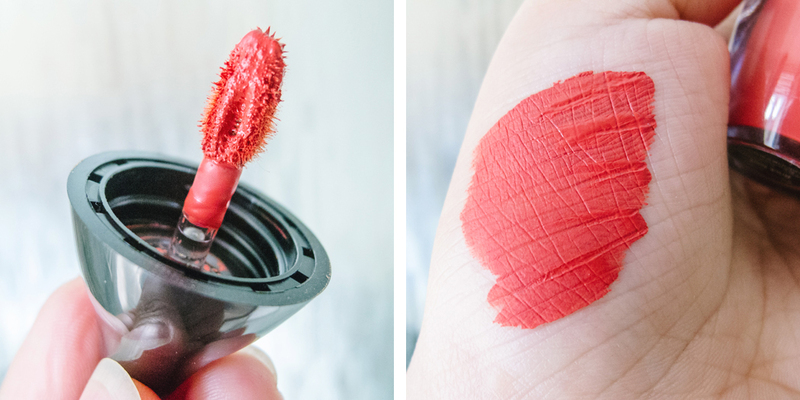 To be honest I wasn't expecting much from this because I knew that it was made to be a dupe of a different lip manicure product, but I've found myself reaching for this product a lot these days! It goes well with my daily makeup. I just hope RiRe does decide to change their packaging to a better one – I'll buy a lot more of these if they do! My very first contouring product! It's basically a dual-ended brush that comes with a liquid highlighter on one end and a shading/contouring liquid on the other. Before this, I've only ever used brown and beige eyeshadows for shading and highlighting, so I had really high hopes for this product. This was just so-so for me. The highlighter was too thick and too white for my liking. It actually looks a bit chalky when you blend it out. For highlighting, I prefer something that's sheer and has fine sparkles, so I don't reach out for this much. I use it mostly as an eyeshadow base now. The contouring side, on the other hand, has been more useful. The shade is a bit too orange for my liking, but it somehow works for my skintone so it's okay. It is super pigmented though, so I only apply a small amount each time. The first time I tried it, I panicked because it looked so dark against my skin. It looked fine once I blended it out. Both the highlighter and contour dry quickly, so I have to blend them out as soon as I apply. All in all, it's an okay product. My first pencil eyeliner in years. The formula is a bit dry and not as creamy as other liners I've tried, so I have trouble getting a nice black line. It works well for tightlining though! I have a problem with my left eye in that it sometimes decides to tear up on its own, so my eye makeup always has to be 100% waterproof and smudge-proof. Ever since I moved on to using liquid liners, I've never tightlined my lids because I couldn't find a pencil liner that wouldn't make a mess on my eyes. This liner passes with flying colors. I use this for tightlining and then go over it using either a liquid or gel liner. 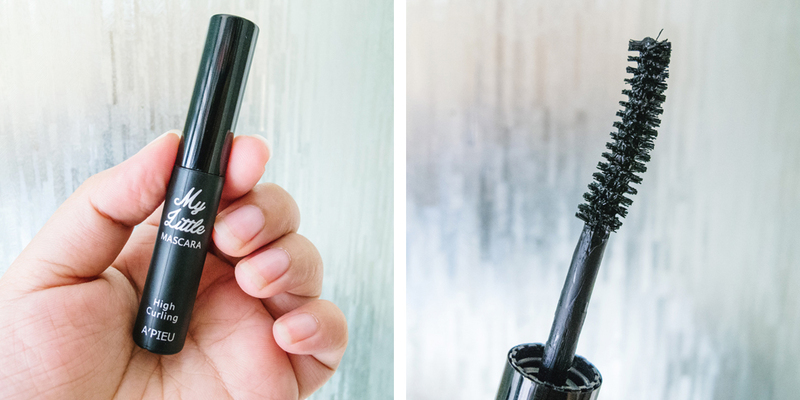 A mascara that's true to its name. It's so cute and small! 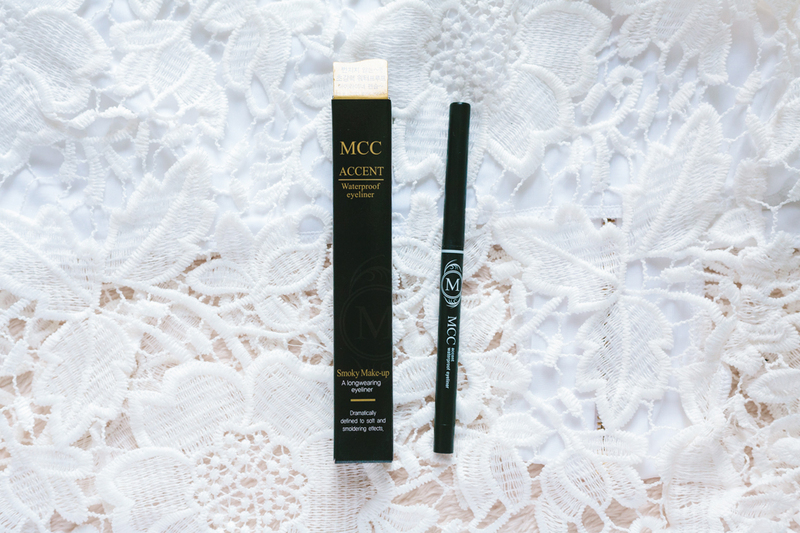 Sadly, this didn't hold my stubborn straight lashes' curl at all. 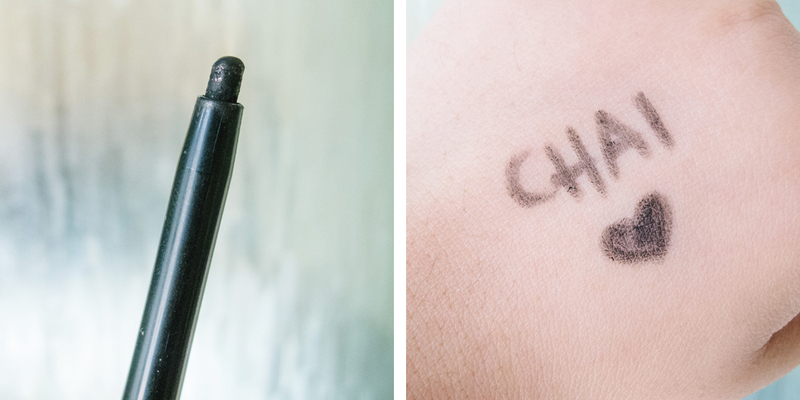 The formula is nice though – non-clumpy, waterproof, and sweat-proof. It is NOT smudge-proof though, so better keep that in mind. 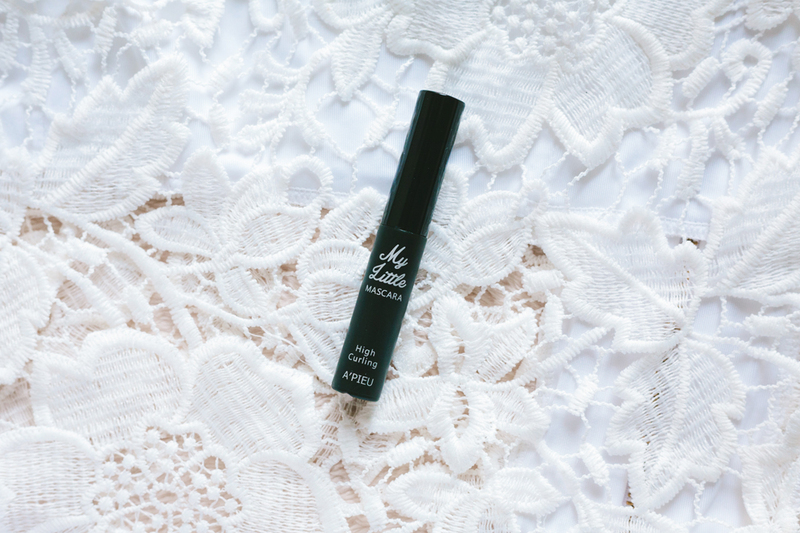 I personally wouldn't use this for special occasions because it doesn't do much for my lashes, but it's a nice enough mascara for daily wear. It's so small too, so it fits right in my everyday makeup pouch. Aside from these full-sized makeup items, the kit also includes a few skincare and makeup samples. I've been curious about heimish for quite a while now. I found out that they released a balm cleanser of their own some time ago, and it piqued my interest because it's slightly cheaper than my favorite Banila Co Clean It Zero. I tried the All Clean Balm last week and while removed my makeup really well—just as well as the Clean It Zero. Sadly, this stuff broke me out. I used the night after my aunt's wedding. I broke out the next day, and I thought it was because of the stress from the wedding. Turns out that the cause was actually the All Clean Balm. How do I know this? Well, according to Cosdna, the All Clean Balm contains *drumroll* coconut oil. Coconut oil makes my skin break the f out. I still have half the sample left, but NOPE. Goodbye, All Clean Balm. You may have tempted me with your pretty packaging, but I'll be sticking to my HG. If coconut oil doesn't break you out though, this is a great alternative to the Clean It Zero. 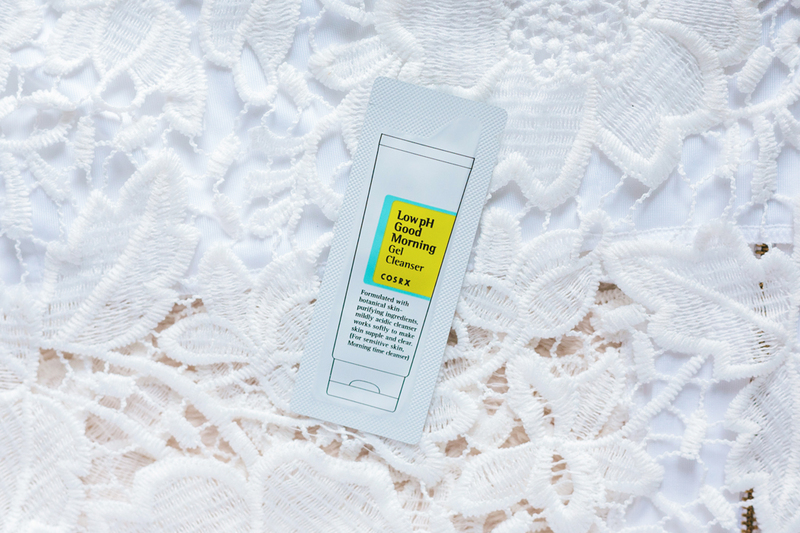 I'm not a stranger to the COSRX Low pH cleanser. In fact, it's my HG! Even so, I still appreciate receiving samples of it. It's always good to get samples of your HG products. They're very convenient for travel purposes! 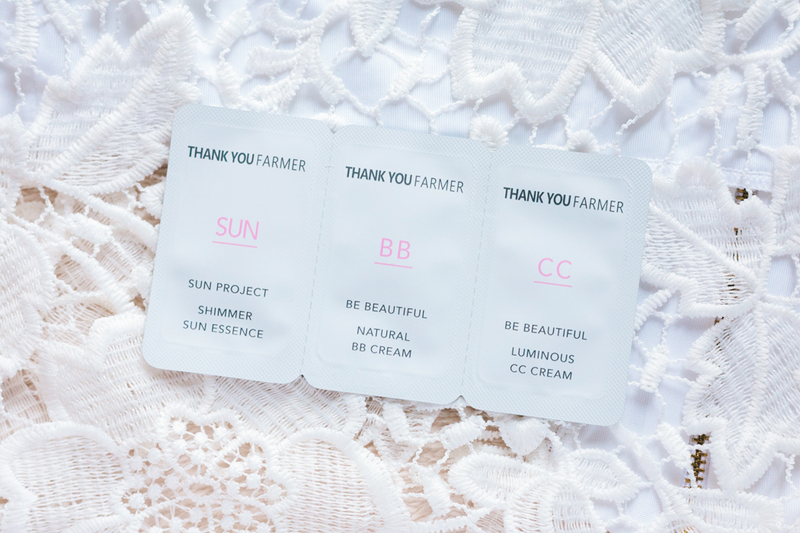 A trial set of three THANK YOU FARMER products – Sun Project Light Sun Essence SPF50+ PA+++, Be Beautiful Luminous CC Cream SPF30 PA++, and Be Beautiful Natural BB Cream SPF30 PA++. I haven't tried these yet, but I haven't heard of the THANK YOU FARMER brand before this, so I'm curious to see whether these are good or not. A trial kit of three products from Etude House's Pink Vital Water line – Pink Vital Water Skin, Pink Vital Water Serum, and Pink Vital Water Emulsion. I haven't tried these yet but the Etude House Pink Vital Water line has some fairly good reviews on r/AB, so I'm looking forward to trying them. 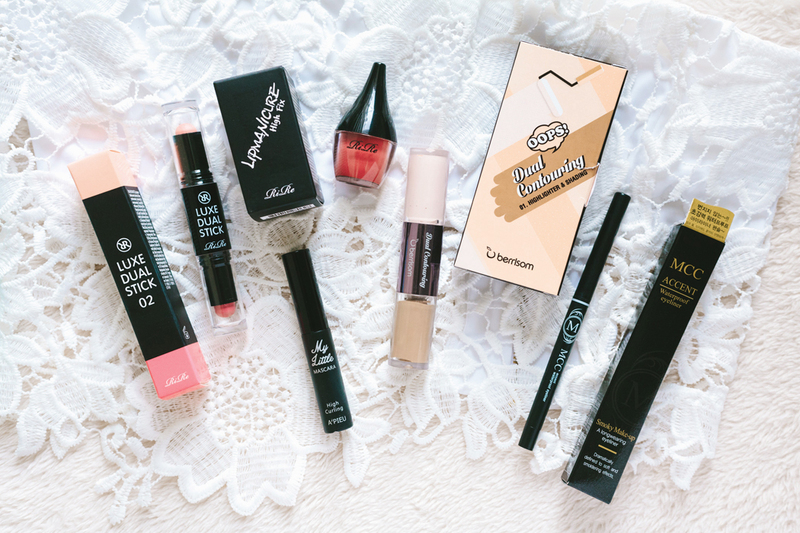 Overall, I think the Yesstyle Sweet Spring Makeup Kit is a well-curated selection of Korean makeup items. I'm not as strict with trying new makeup (as opposed to trying new skincare) so I liked this beauty box more than the previous one. For makeup, I usually stick to the things I know I like, so I rarely get to try new things. That's why I can appreciate makeup-focused beauty boxes more. In this kit, all the included makeup items are products that were new to me. 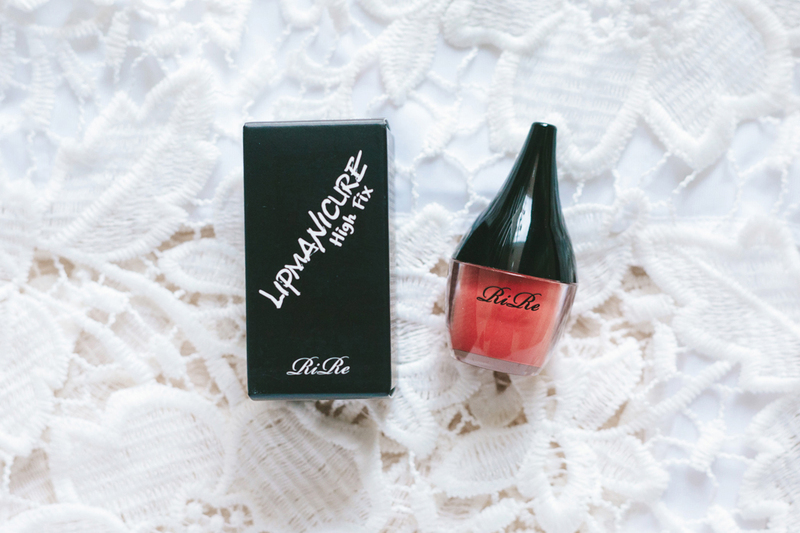 Had I not tried this box, I probably wouldn't have known just how good the quality of the RiRe Lip Manicure really is, or that there could be a pencil liner that I could actually tightline with. 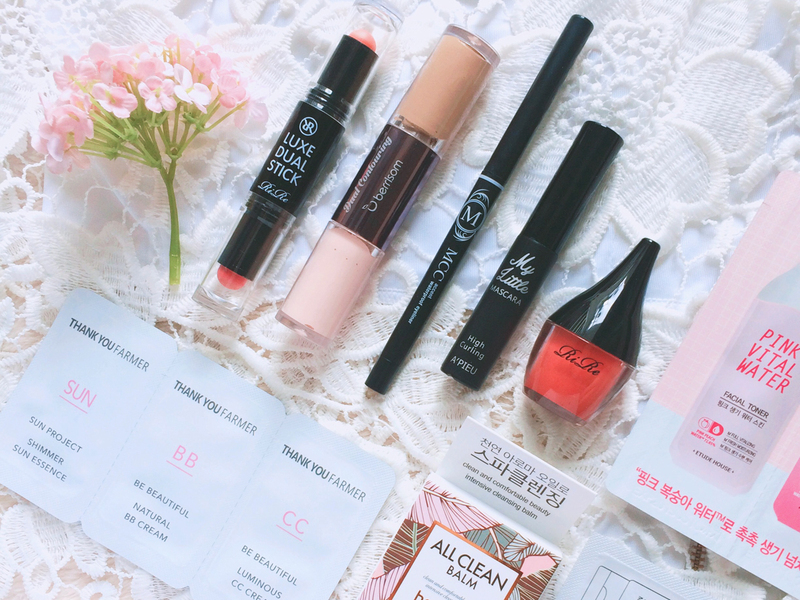 As a whole, the products in this box could be a hit or miss, but they're all still worth a try for makeup beginners and makeup enthusiasts alike. DISCLAIMER: The products in this post were sent to me by YesStyle for review, but the opinions expressed here are 100% my own. Financial compensation was not received for this review. This post also contains affiliate links. Clicking those links before you shop means that Chainyan.co receives a small commission, which helps to support the blog. Please see my full disclaimer for more information.